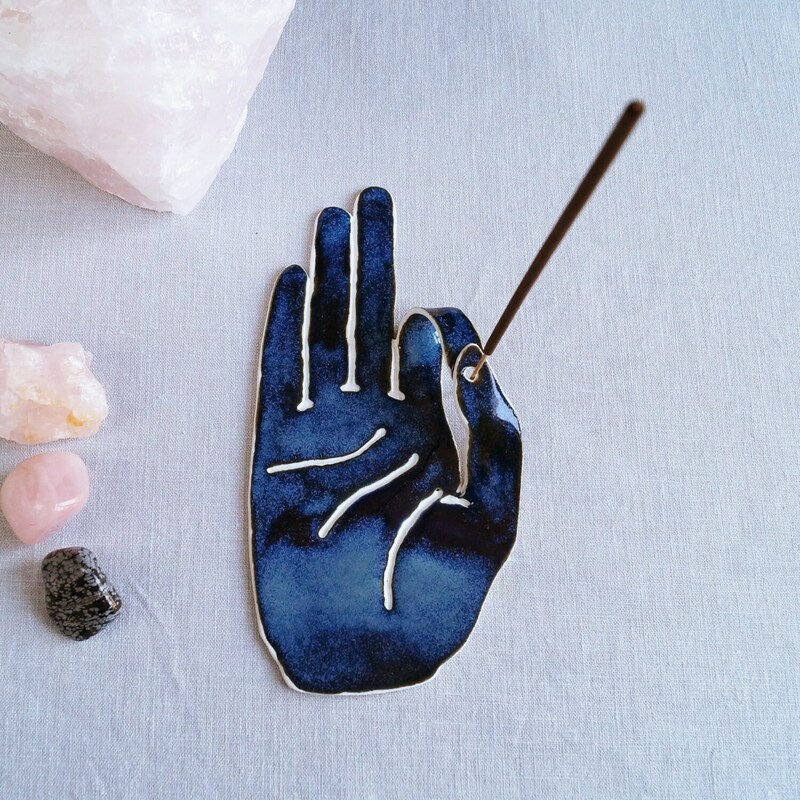 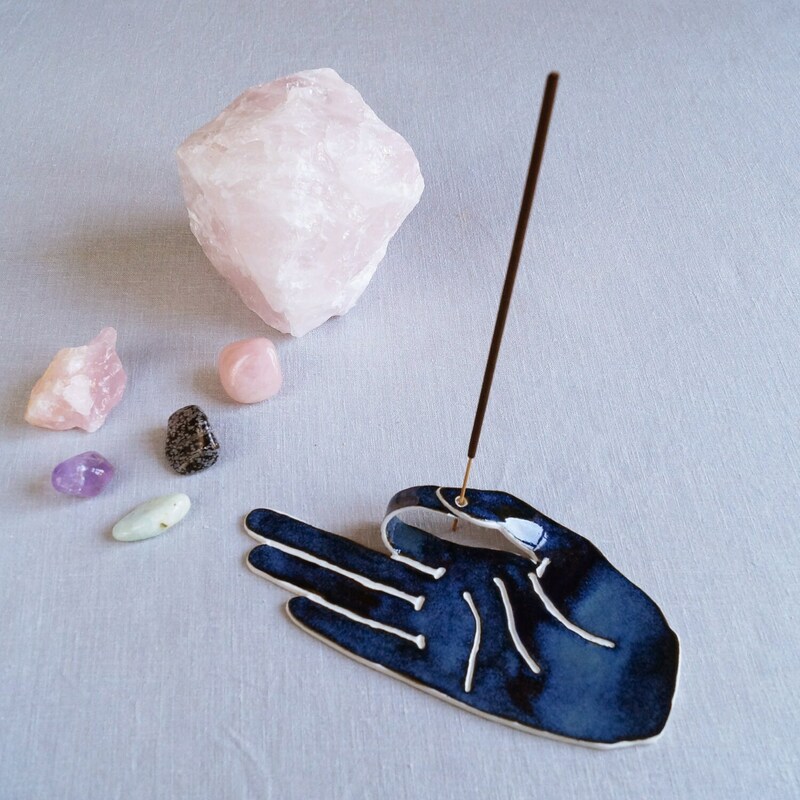 MUDRA hand shaped porcelain incense stick holder with a shiny midnight blue glaze. 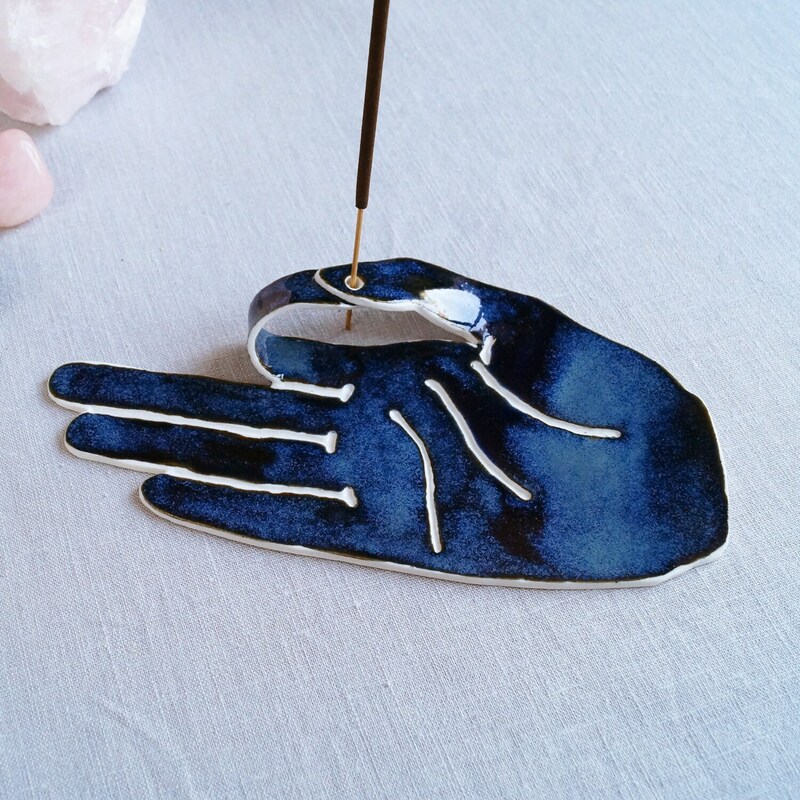 Unglazed on the underside and on palm lines. 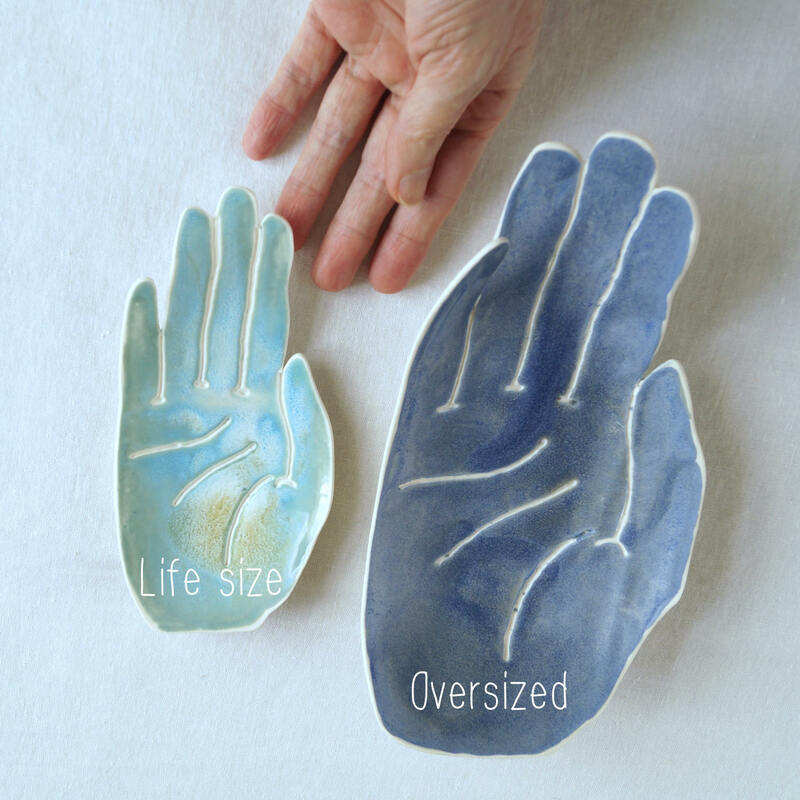 Life size 180 mm x 90 mm approx. 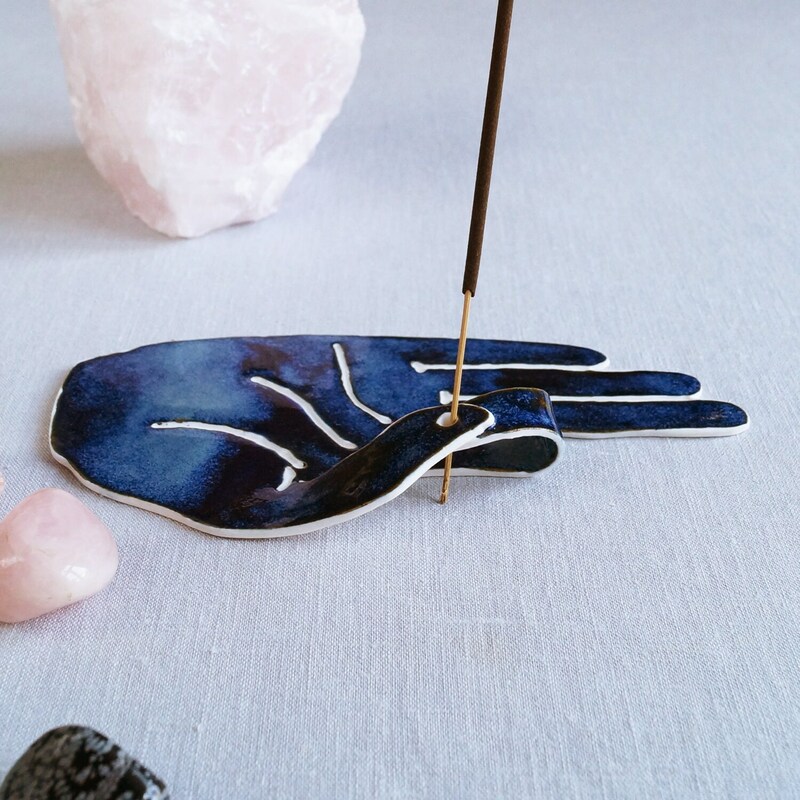 A little bit of blue tack is supplied to help anchor your incense stick at the right angle so the ash falls into the palm. 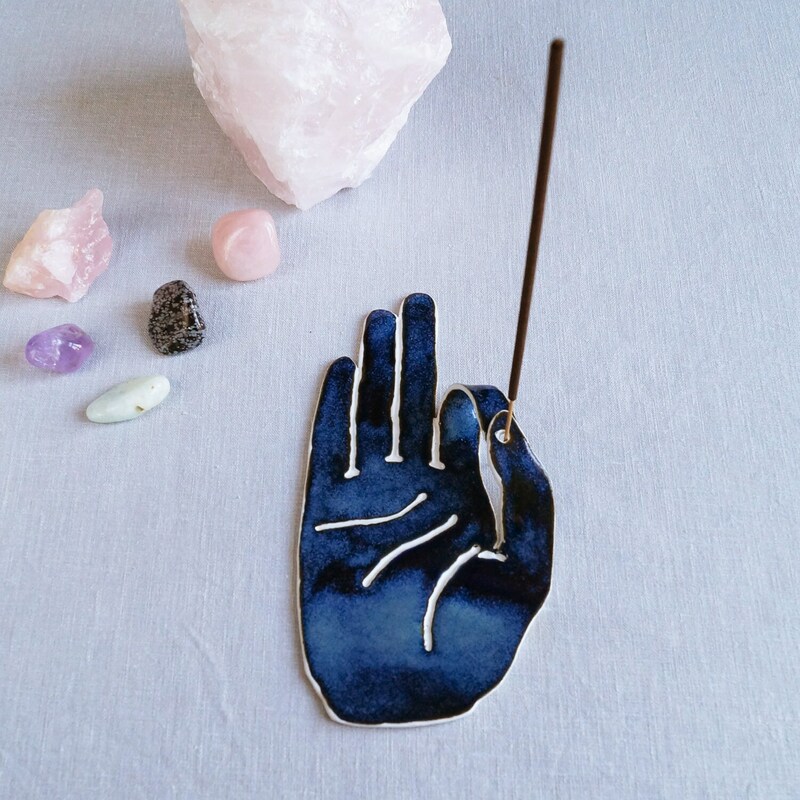 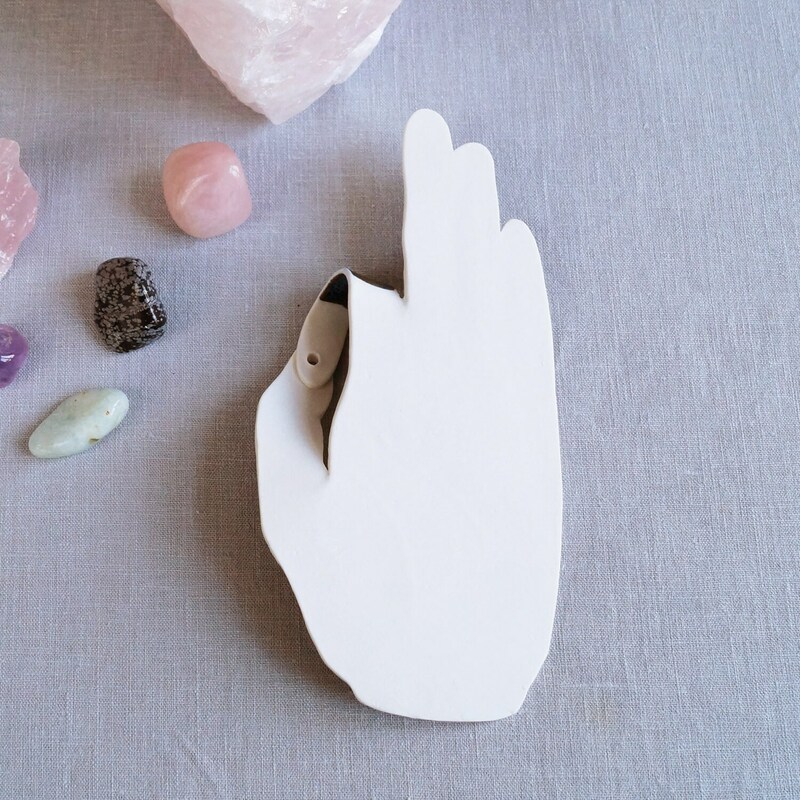 Incense sticks and crystals not included.